A set of yellow firing discs and miniature shuttlecraft were included with the toy. The transformation of Star Trek from a failed 1960s television series to a cult classic during its broadcast syndication runs in the 1970s led to a movie and television franchise, as well as a slew of toys and collectibles that tied into the show’s sci-fi roots. 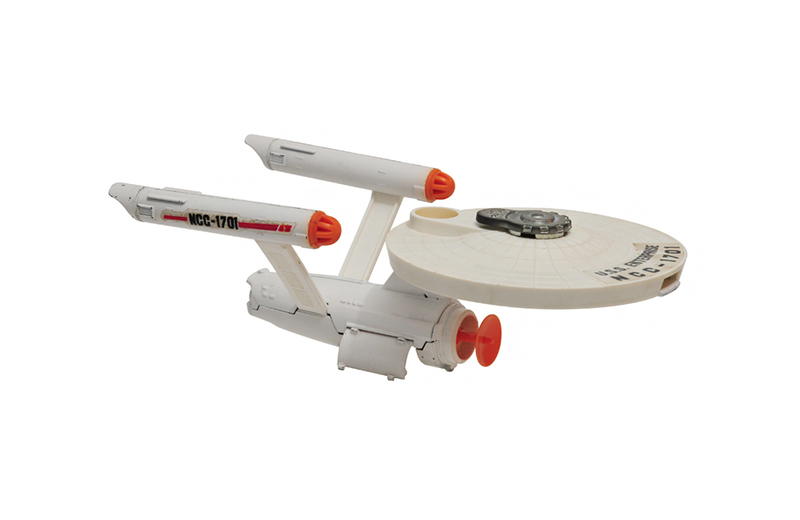 While companies like Mego, Remco, and Hasbro provided consumers with a plethora of options, the USS Enterprise from Dinky Toys ranks as one of my favorite toys from the period. The history of the Dinky Toys brand dates to 1934, when British company Meccano first began producing lines of small-scale, die-cast automobile and truck models. Competition from Mattel’s Hot Wheels line in the late 1960s forced the company to diversify its offerings. Before Dinky Toys went into bankruptcy in 1979, it released 24 die-cast vehicles that were licensed from television series such as Thunderbirds, Space: 1999, and Star Trek.